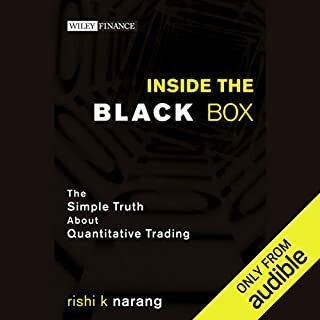 Quantitative trading strategies - known to many as “black boxes” - have gained a reputation of being difficult to explain and even harder to understand. While there is a certain level of complexity to this approach, with the right guidance, you can successfully overcome potential obstacles and begin to excel in this arena. That’s why expert fund manager Rishi Narang has created Inside the Black Box. In a straightforward, nontechnical style - supplemented by real-world examples and informative anecdotes - this reliable resource takes you on a detailed tour through the black box. This book offers does a good job of reviewing in great details the kinds of problems implementing a quantitative trading strategy poses. It also covers the general types of solutions quants put in place. Of course, if you are looking for proprietary information, you will not get it here. Between this book and coding your own algorithm basically lies a research and learning journey, but it does have the benefit of giving you which questions you should seek to answer and provides you with a framework to tie the answers into a coherent whole. This book covers in very extensive and nuanced details how genetic factors may play a role in how we behave. Pinker makes no simllistic assertions here: genes play games and the emerging strategies express themselves as emotions, reflexes, biases, etc., all of which are susceptible of interaction with each other and the world, both physical and social. Of all possible priors, assuming human behavior, cognition and psychology is biologically unbounded is at one extreme of an entire spectrum of possibilities. Pinker suggests the appeal of this idea might have grown out of horror for Nazi Germany and, indeed, nothing more explicitely emboddies disgusting human tendencies than Nazism. You want to flee far from that -- and the blank slate is as far as you can conceptually flee. It is a great read for anyone interested in human behavior, though it curiously seems political in this day and age. 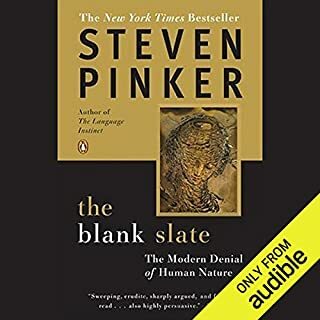 As far as I can tell, knowing how we behave is the best way to design successful solutions to our problems -- and Pinker once again puts his finger on a bleeding wound. The nicest part about Pinker is that he leans relatively leftward, technically does study humanities and social sciences and is a college professor: it is hard to paint him genuinely in a bad light as he is commenting about his own circles. It is a great read, even if you aren't interested in the problems that emerged recently on college campuses. How he ties biology to behavior is a very good and rather simple summary of scientific research. He also takes the time to explain the details of how we reach conclusions, so you get to understand the most important aspect of science: which questions to ask. 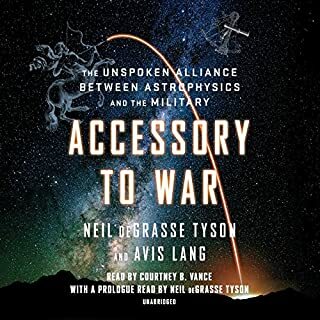 The authors did a great job of uncovering details that help paint a complete picture of how scientific and political interests often aligned in ways that helped foster technological improvements. The underlying science is interesting in itself, presented in a clear way by NDGT as usual. The history and politics would also make for the best history course of your life. Harper is surprisingly calm, thoughtful. He obviously has a conservative take on current issues, but I think his claims can be helpful to a more left leaning audience as well. Most of the book covers the underlying causes behind the rise of right wing populism in the West. Roughly speaking, Harper is making the case that working and middle class citizens have genuine grievances that are largely ignored regarding immigration and trade. It is hard to deny him this point. Some right leaning politicians have been almost dogmatically wedded to solving all ills with more decentralization, more high end tax cuts, more deregulation and freer trade. On the left, a growing habit of trying to paint the opposition as mentally ill or reckless to avoid arguing over substance is also part of the problem. The right turned a deaf hear to middle class people and the left insulted them -- enters Trump who says he'll do something in the least politically correct prose he could muster. Harper's insights echo comments made by Jonathan Haidt and Jordan Peterson regarding the backlash against political correctness and the dangers of identity politics. The same could be drawn from Pinker's not-so-subtle stabs at the left on college campuses: all of these people agree you get in trouble when you don't listen. 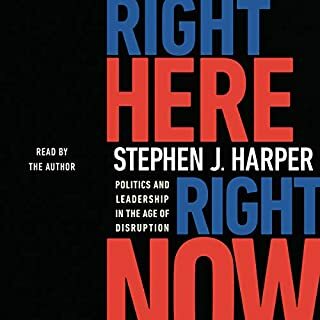 This short book by Harper covers in details several aspects of the problems in the US. Given Harper worked extensively on immigration and trade as Prime Minister of Canada, it is no surprise he has a lot to say about US immigration policy, trade policy and foreign policy. If you lean more to the left, his comments could bother you, but he is extremely thoughtful and pragmatic. It is a great read, filled with intricate details about how to manage competing goals and bring about beneficial cooperation in this world today.